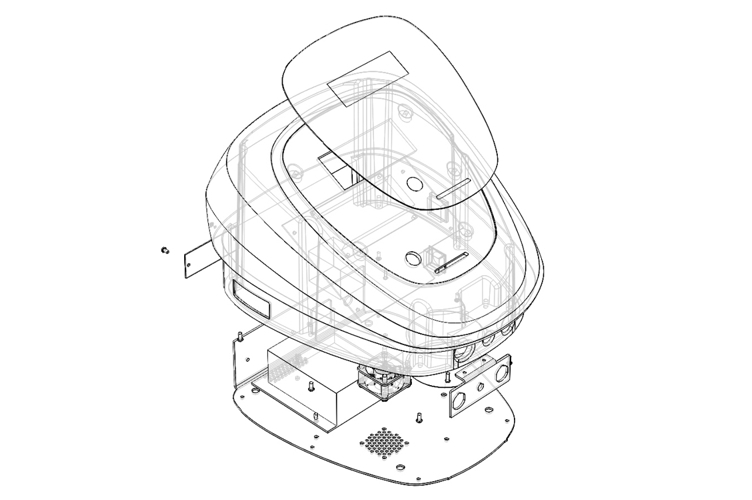 Omega Laser Systems is the longest established UK low level laser manufacturer and was involved in much of the founding research work in the field. Omega’s equipment has been used by health care professionals across the world for more than two decades. The history of photomedicine stretches back thousands of years but it is in the 20th Century that the scientific application of particular wavelengths of light began. Low Level Laser Therapy aims to biostimulate. Because of its low power nature, the effects are biochemical and not thermal and cannot cause heating and thereby damage to living tissue. 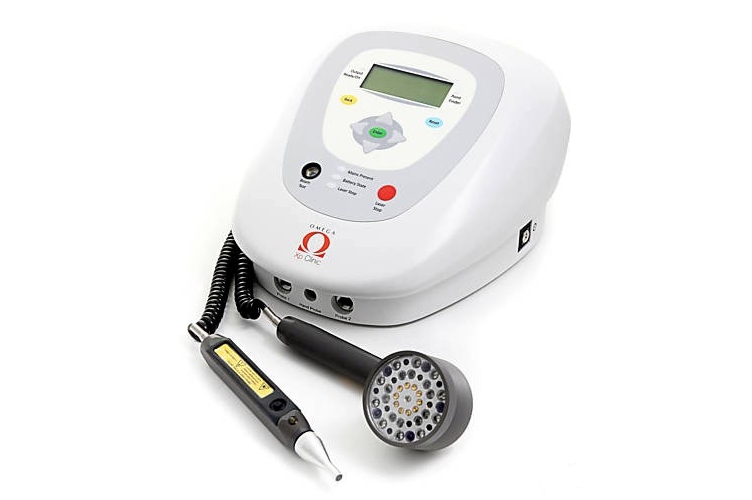 Omega Laser Systems approached JWD Ltd to assist in the development of the Omega Xp Clinic, a state of the art LLLT device which enables laser therapy treatment of everything from superficial wound healing to deeper muscular penetration and laser acupuncture point stimulation. 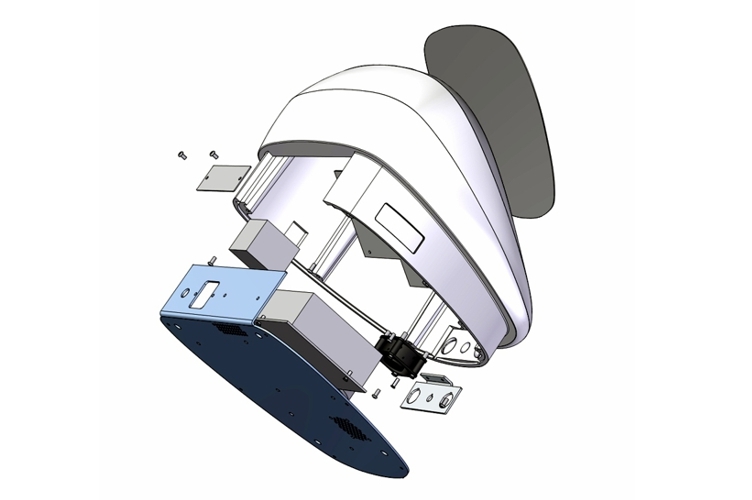 JWD's brief was to provide assistance and guidance on the design of the outer enclosure, external I/O connectors, chassis and labelling. 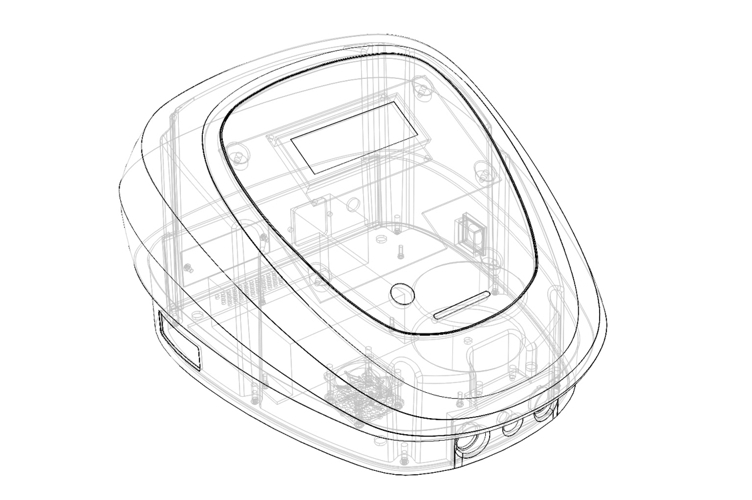 The client supplied a rough design sketch of the desired form of the external enclosure from which JWD was to develop a finished part designed for manufacture using Omega's existing supplier base, whilst retaining the client's design intent. 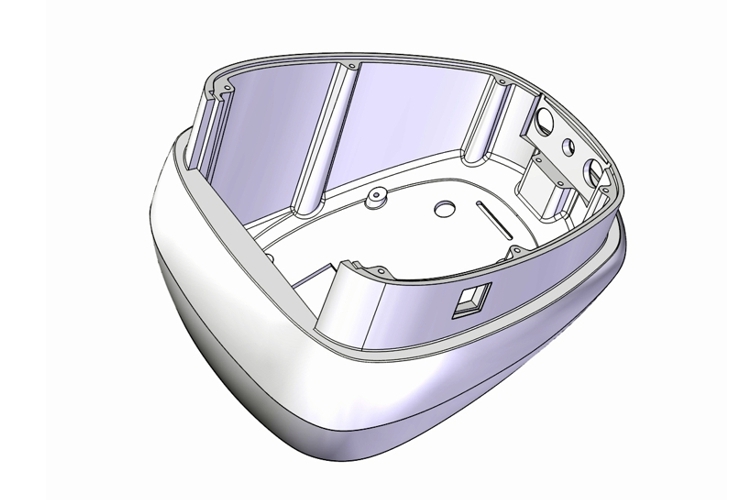 From this start point a basic structure for the enclosure could be prepared along with designs for product labelling and the main chassis.